Think you don’t have time for exercise? A new study published in the Journal of the American College of Cardiology suggests as little as 5 to 10 minutes of running a day, even at slow speeds, can significantly lower your risk of dying from a cardiovascular disease, such as a heart attack or stroke. This is great news, considering the top barrier to exercise is finding the time. Researchers also found that it doesn’t make much of a difference whether you’re cruising down the road or just plodding along. The speed and frequency of your run doesn’t matter as much as simply the fact that you are getting out and doing it on a regular basis. They found that running less than an hour per week generally provides the same long-term heart benefits as running more than three hours per week. But, as you’d expect, the runners who ran more frequently and at faster speeds were fitter than the slower runners who ran less often. Lowers your risk of cardiovascular death: Those who ran daily were 45% less likely to die from cardiovascular disease and added about three years to their life in this study. Helps you maintain or lose weight: Running burns calories, making it a great way to shed a few extra pounds. Improves mental health: Due to the release of endorphins, running reduces the symptoms of depression and acts as a mood booster. Reduces your risk for chronic illnesses: Running reduces your risk for hypertension, diabetes, heart disease and cancer. Improves bone health: Running strengthens bone density and may aid in preventing osteoporosis. Running for just 5 to 10 minutes a day may be the perfect option for people who live more sedentary lives or are not used to very much physical activity. According to Heart.org, running and brisk walking are the most accessible forms of physical activity. 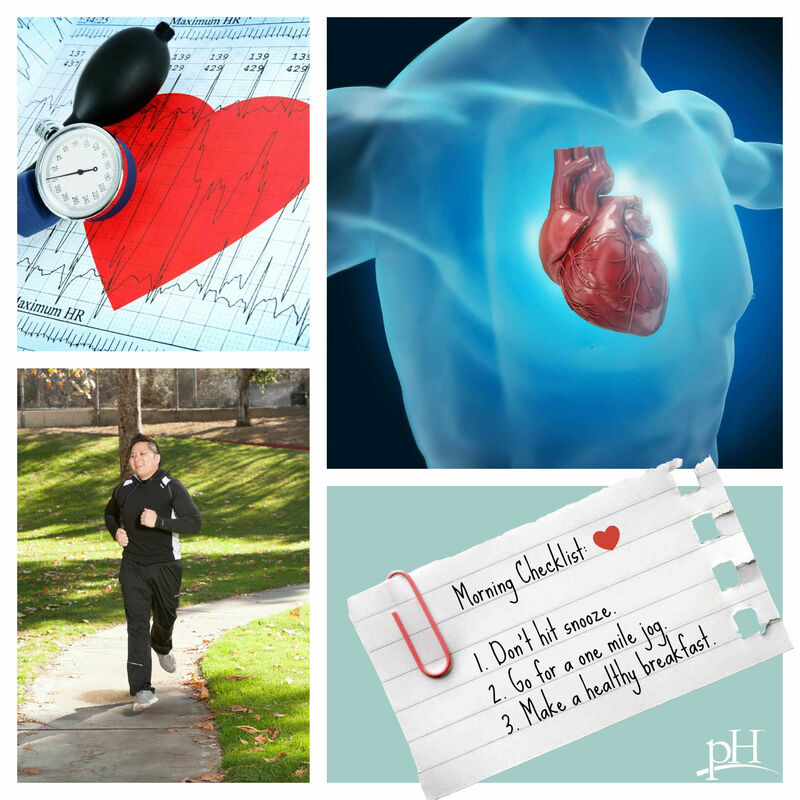 You can work out for a short period of time and still reap the heart benefits. A little running goes a long way. In as little as 5 minutes a day, you can reduce your risk of cardiovascular death and many other illnesses. So what are you waiting for? Lace up your sneakers and go pound the pavement. Your heart will thank you later. Call Proactive Health Labs at 855-PHLABS1 to schedule a pH Health Assessment with a medical doctor and find out how we can help you achieve your optimal heart health.